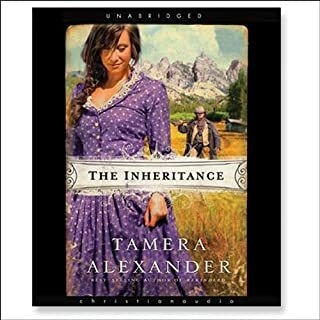 Tamera Alexander - RITA and Christy Award winner - interweaves threads of hope and second chances into a life tangled by half-truths and lies. 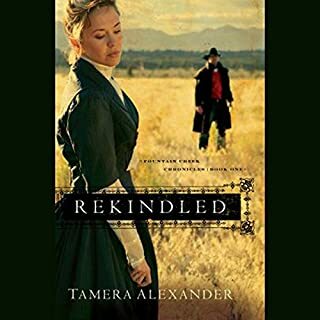 Stepping off the train in 1876 Colorado Territory, Professor Molly Whitcomb, Ph.D, makes a distasteful choice she sees as her only chance to recover a fraction of what she's lost. 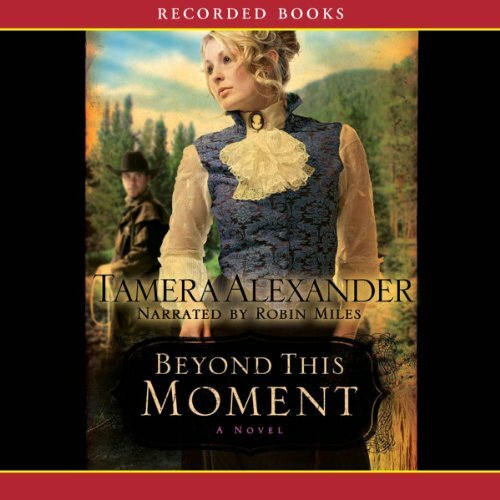 Where does Beyond This Moment rank among all the audiobooks you’ve listened to so far? Thia is the best book I have listened to in all the audiobooks I have purchased.. It certainly rates #1 !!! What other book might you compare Beyond This Moment to and why? This book far exceeds any other book I have listened to. Robin Miles is also #1 in narrators. She speaks every word clearly and distinctly. She has a wonderful gift of making each character their own,. when each one speaks you know right away who it is. I love her performance and will look for her other books she narrates. I love historical novels very much and the clothes are beautiful, but I could not have worn them ALL of the time if I had lived at the time. As well, while I love the bible and try the best I can to live by the letter of God's word, I also realize we are sinful and make mistakes, so for the time this was written I would have been more like Rachel and Lorelai...forgiving and caring and hoping I could have been given a second chance at redeeming myself for a one-time mistake. Having said that, I really appreciated the style in which Tamera wrote Beyond This Moment. She took care and understanding and a lot of thought before each scene was written so she could capture the story and thought behind each individual in the book. There were so many diverse individuals coming into this territory at the same instance, all wishing to make a clean start and hoping that everyone, since they wanted to be given that chance would see them as a new person without blemish. Tamera shows us tho that personalities were then as they are now, hard pressed to gossip and find fault with others. BUT, there are few individuals who once a new thought is introduced and time to sink in to mull over the bad, they can find good in an individual they have come to know instead of who that individual was at the time of the mistake. Hence, time of redemption in a new place for this person! Molly and James story is a heartwarming story of how 2 individuals can come together even when one is trying to protect the other from her bad reputation so he won't suffer any consequences from it. And yet love and christian kindness can prevail in the end. 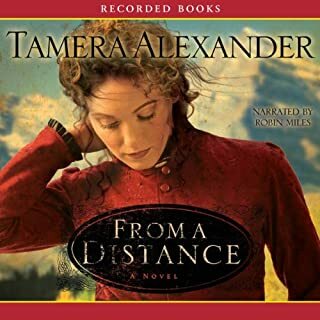 Kudos to Tamera Alexander for another great novel!!! A great read with an exceptional narrator! My only disappointment was it ended way too soon. As with all of Ms. Alexander's books this one is a great balance between our fallen sinfulness and God's grace. 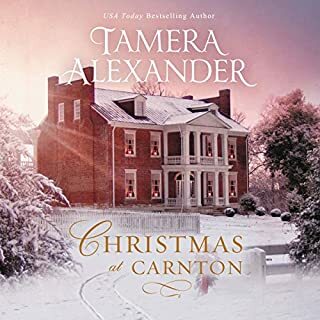 My favorite christian romance so far, and I have read many. This book upheld Christian morals, consequences of sin, and Gods grace through it all. I loved the building of romance. The characters were believable and I found myself able to relate. I didn't want this book to end! The only word I have is WOW!!! 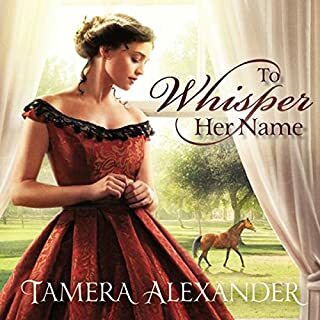 Can't wait for the next book.... keep writing Tamera!! Each book in the series gets better and better. All three in the series are stand alone novels with a wonderful story to tell. But I really enjoy returning characters. Especially when you've already come to know them. It's just nice to hear from them again. Beyond this Moment a worthwhile investment of time and money! Very good story, with strong characters and excellent narrator. Loved it from start to finish. Recently discovered this author and will be reading many more of Alexander. Wonderful book!. I loved it. Great story! Great performance. I absolutely loved it! I would highly recommend it. 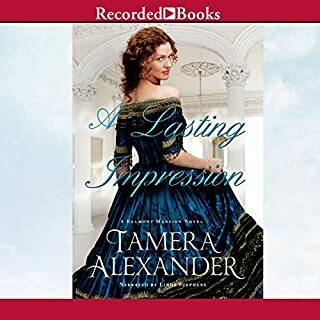 I love Tamara Alexander's series. A wonderful story. Nicely paced. I’ll get the next book in this series!